Indian Rocks Beach is located just 20 minutes South of Clearwater Beach. 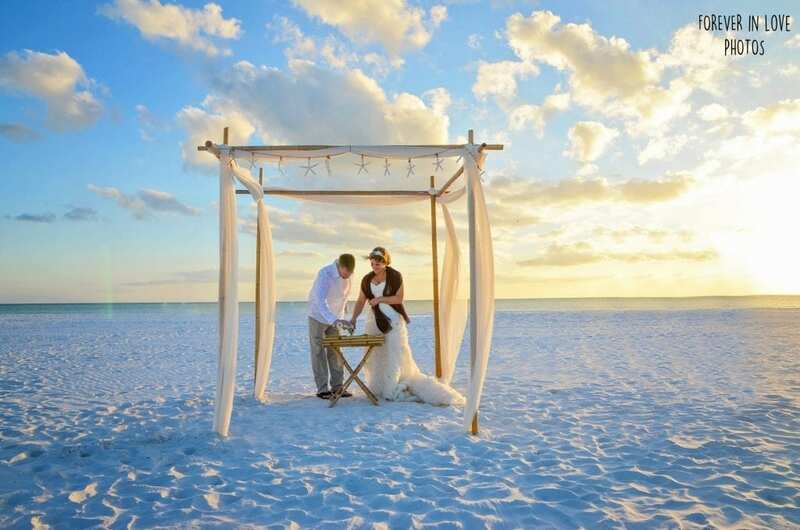 Treasure Island Beach Weddings are a popular choice because you don’t need a permit to have your ceremony (if under a certain guest limit) Affordable Florida beach weddings are what we strive to provide, and eliminating what could be an expensive permit fee, is an easy way to keep costs down. 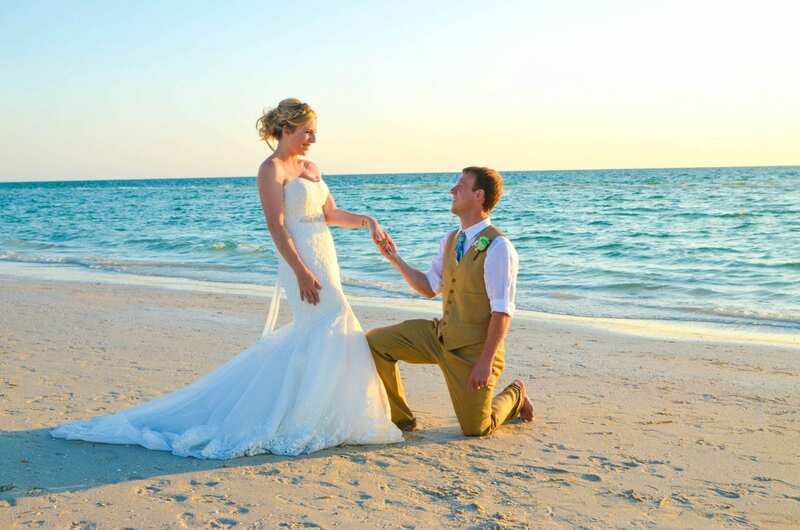 Our beach weddings at Indian Rocks give you all the benefits you are looking for with a Clearwater Beach Wedding. White sand, vibrant sunsets and an unforgettable beach wedding experience. Where should I stay for my Indian Rocks Beach Wedding? 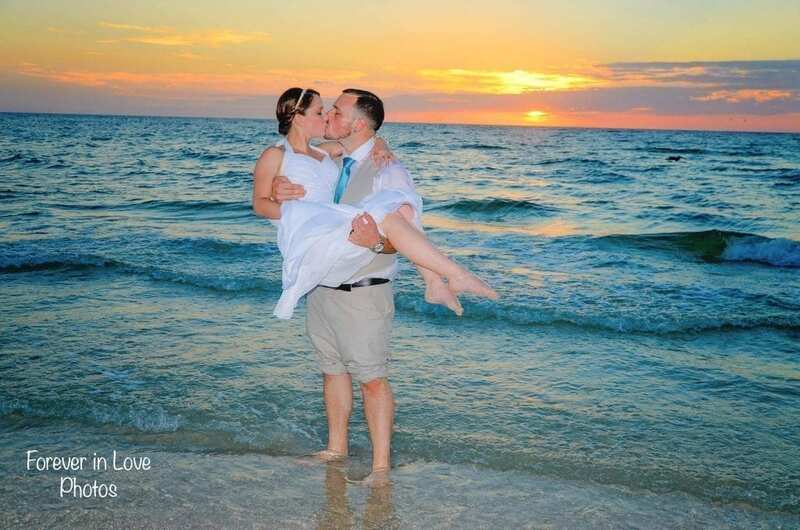 Holiday Inn Harbourside is an ideal location for couples that want to enjoy an all-inclusive Clearwater Beach Wedding. 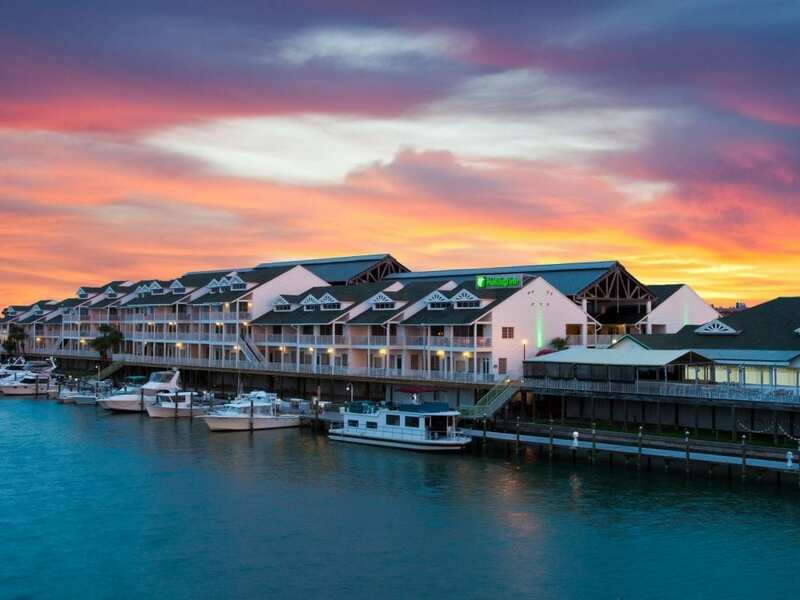 You and your guests can enjoy staying at the Holiday Inn Harbourside and take a one minute walk to 4th Avenue, where we will hold your Indian Rocks Beach Wedding. Hosting your Clearwater Beach wedding reception at the Holiday Inn will allow your guests the ease and convenience of walking right back to their hotel for your reception and eliminate the stress of travel for you and your guests. This is a favorite choice among our brides. Where will my beach wedding happen? Indian Rocks Beach Weddings at the main beach include a pay station for you and your guests to park as well as a nice boardwalk for you to walk down the aisle. While this beach can get busy during the day, it tends to clear out towards the evening hours. If you are having a large wedding, you may want to look into having transportation planned for everyone to eliminate the stress of parking. If you will be having your reception venue within walking distance, you may be able to coordinate additional parking with them. Is there a more private beach to get married? If you are looking for the most inclusive option, the 3 Palms Retreat is an ideal location. This rental property has beautiful views of the ocean that you and your guests will be talking about for years to come. 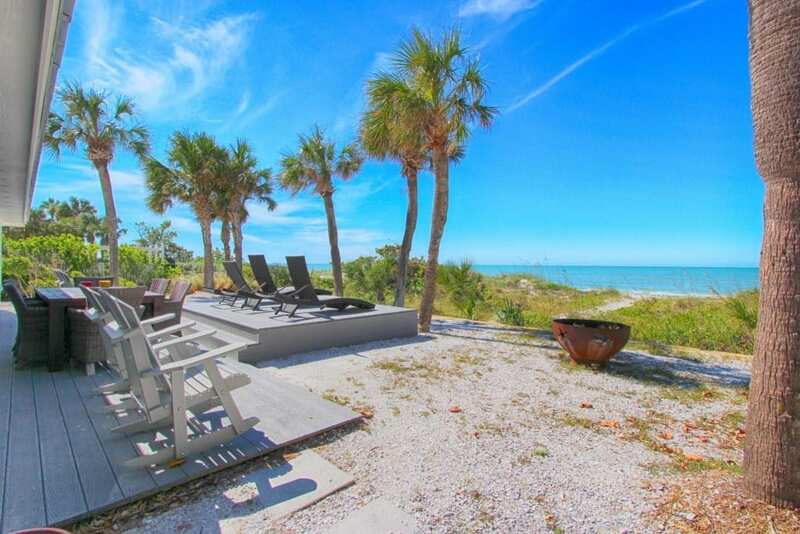 We absolutely love the views and privateness that this beach house will provide for your Indian Rocks Beach Wedding ceremony. What makes this house even more extraordinary is the separation of the main house and the duplex. If you are sticking to traditions, this is a great way for the girls and guys to have separate areas to get ready before the wedding. This is also additional privacy for the bride and groom on the evening of their wedding. With the option to comfortably sleep 16, you and your guests can enjoy some quality time together while you visit for your Indian Rocks Beach Wedding Ceremony. We recommend this area for beach weddings of 25 or less people. All of our Indian Rocks Beach Wedding packages are great for this area. If you are looking for an intimate, yet beautiful, Indian Rocks Beach elopement ceremony then check out our Simply Package. We include an officiant, ceremony photographer, bamboo canopy, sand ceremony and more. Indian Rocks elopements have never been easier. 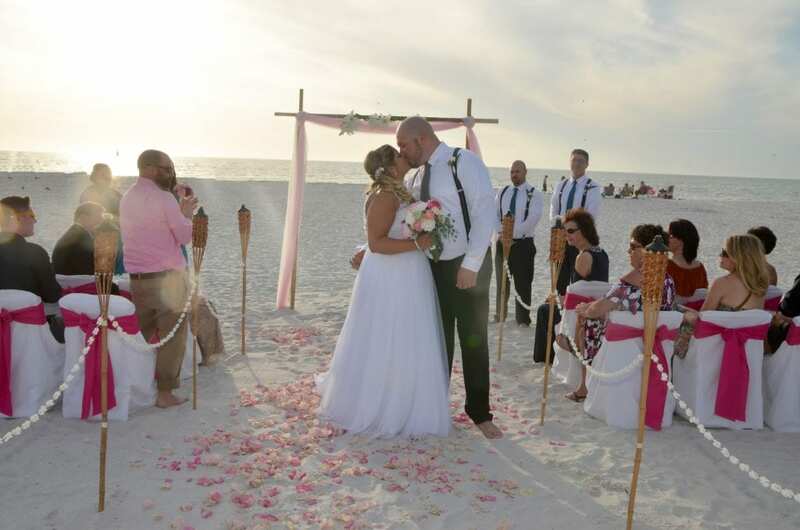 Our Nautical Knot Beach Wedding Package includes chairs with your choice of chair sash color, aisle-way choice from our selections, three post bamboo canopy draped in your two colors, music, officiant and more. Our Nautical Knot Package is one of our most affordable Indian Rocks beach wedding packages. Our Destiny Beach Wedding Package is ideal for our larger weddings. 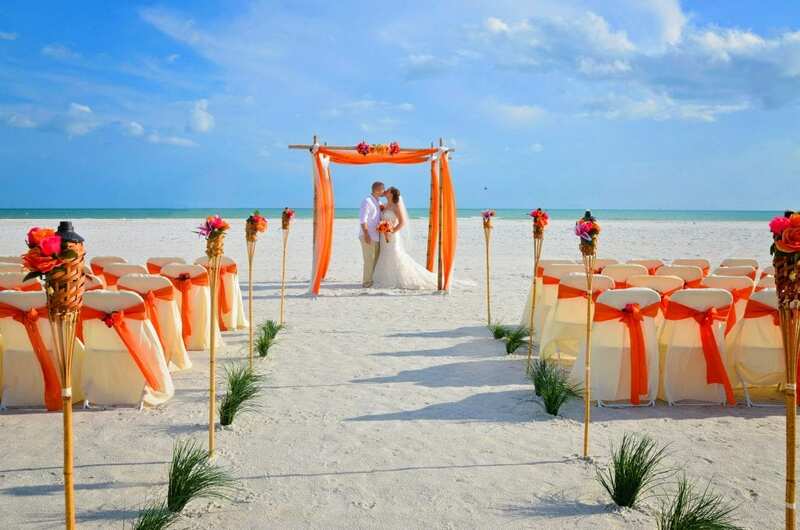 With your choice of chair sashes, aisle-way, a four post bamboo canopy draped in your color choices, music, officiant, and more, your beach wedding ceremony will be a success. This is one of our most popular beach wedding packages as the customization is almost endless. For the most unique and elegant designs, check out our Distinctive Design Beach Wedding Packages. With many options, you will be sure to make a statement. Shown above is our Starfish Distinctive Design. Our Distinctive Design Packages have covered every detail. With upgraded bamboo, deluxe white chairs, designs you won’t find anywhere else, a refreshment station for you and your guests, chalkboard sign announcing the couple and so much more. 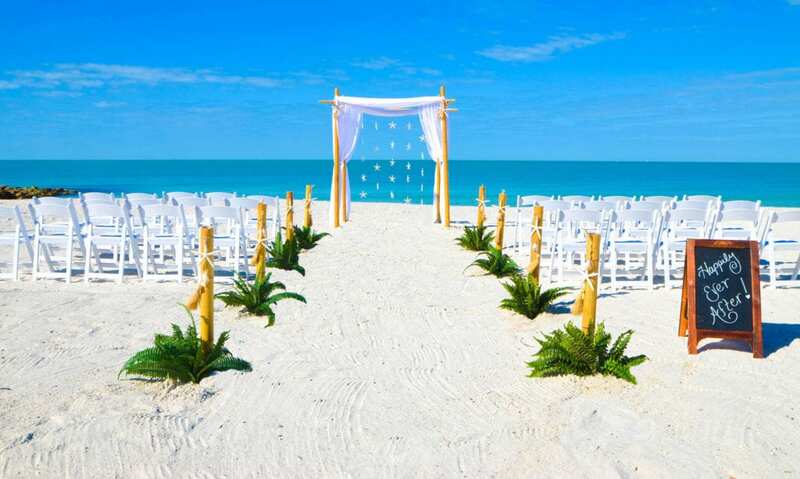 Indian Rocks Beach Weddings do not require a permit if your guest count will be under 50 people. This makes it an ideal beach for many of our brides. I am interested in an Indian Rocks Beach Wedding- now what? 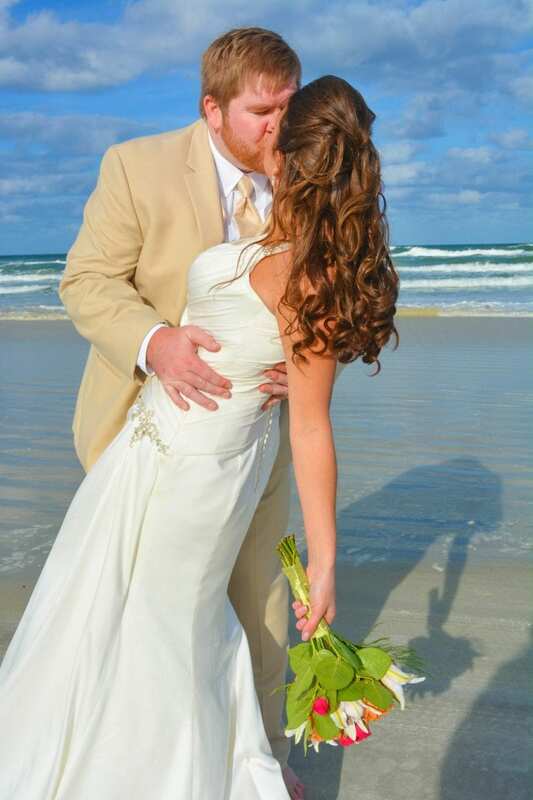 If you haven’t already, check out our Florida Beach Wedding Packages. If you already know what package you are interested in, give us a call at 386-214-6361 or Contact us now to check availability of your wedding date. Where is the best place to stay for an Indian Rocks Beach Wedding? We highly recommend checking out the 3 Palms retreat. This is not only a great place for you to stay, but you can have your beach wedding directly at your house. Yes. Every couple is required to get their Florida marriage license to make your wedding official. We will provide you with all the information to get your marriage license by mail once you book, so you don’t have to go to the courthouse when you arrive in Florida.